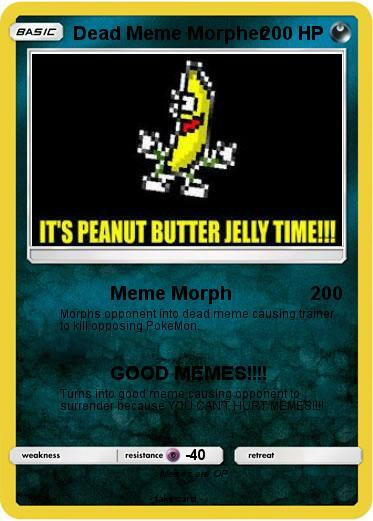 Morphs opponent into dead meme causing trainer to kill opposing PokeMon. Attack 2 : GOOD MEMES!!!! Turns into good meme causing opponent to surrender because YOU CAN'T HURT MEMES!!! !